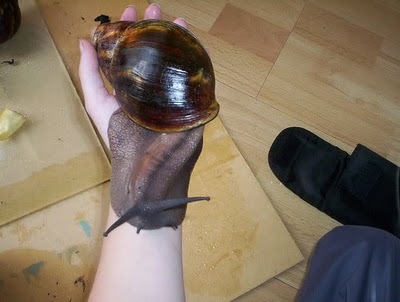 This particular species is the Giant Ghana Snail. 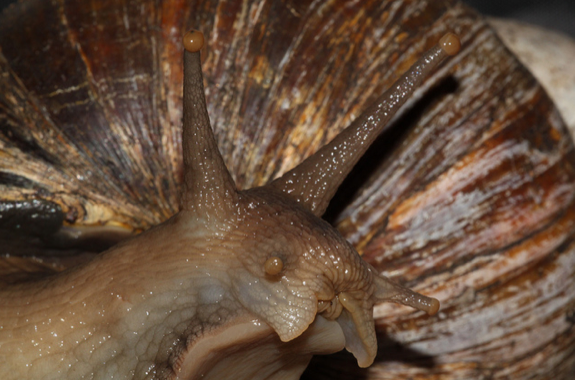 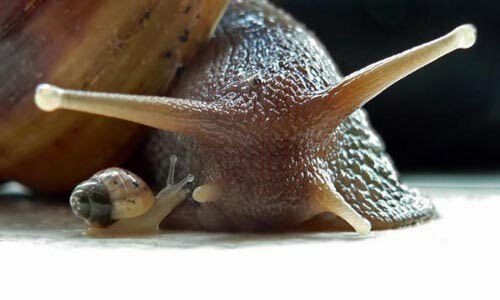 The shells of these creatures often reach a length of 18 cm with a diameter of 9 cm, however there have been some Giant Ghana Snails observed in the wild at 30×15 cm, making them the largest extant land snail species known. 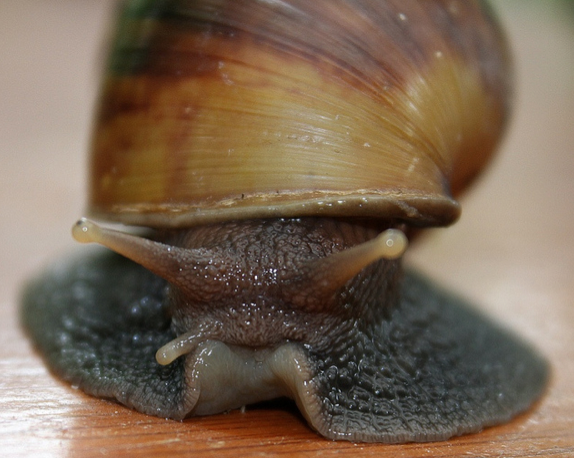 The Giant Ghana Snail has yet to be found outside of Africa in the wild, but there is a significant threat of it becoming quite a pest problem in the U.S. 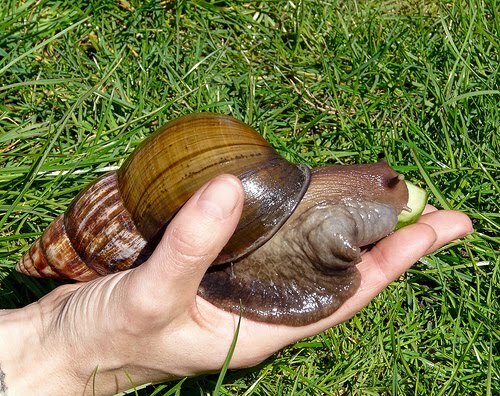 In America, the creature is routinely confiscated by Quarantine Authorities at US airports because it has become quite the popular pet these days with owners priding themselves on how large the snails can grow in captivity. 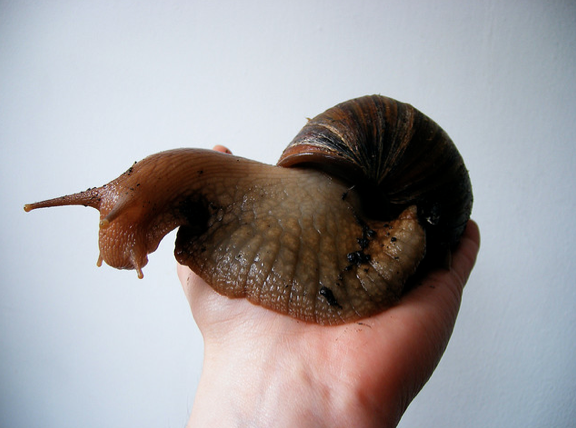 The problem is these huge creatures can lay up to twelve hundred eggs per year, making its huge size and large population a major concern for our natural ecosystems.